This reflection will be an introduction to the pedagogical benefits of incorporating video and video design in a classroom environment. I plan to base my second embedded assessment on how video can impact on teaching and learning. A link to this assessment can be found here. In this reflection, I will introduce the benefits of media in the classroom based on my experiences as a learner and introduces ways I could incorporate media into my teaching. During my tertiary education, I relied heavily on media to get me through my degree. As a distance education student, all lectures were delivered via zoom recordings and podcasts within CQU's Moodle. I also valued websites such as the Khan Academy of which I will base my example around. Additional reasons I, and every teacher, should be using media in teaching can be found in this video, presented by Salman Khan himself. I will come back to this reflection, this is an area I certainly need to research. I will however get my Embedded Task 2 done first. Please visit again soon. Please note: THIS IS MY WORST REFLECTION TO DATE. DON'T JUDGE ME, I CAN'T KEEP MY THINKING CAP ON STRAIGHT. Okay.......this reflection has been a disaster already! I had planned on not using words at all for this post, thought that was quite fitting considering we are exploring 'images for learning'. My idea for this post was to create a mind map as my imagery example, to demonstrate how the use of media (images) can transform and enhance the quality of learning for our students. How a simple image can be just as powerful and revealing as a 1000 well written words. That was the plan anyway. What was meant to be totally amazing and high impact! I'm not starting again, but I did have a thought. I'd try and create one myself. Students who aren't familiar or confident with mind mapping or online drawing programs like those listed in this review, would still have the opportunity to experience imagery in learning. They could use their creative skills in programs they are more comfortable with though, like Microsoft Word or Publisher. I'm not at all happy with what I have created, my mental design had it looking more like this. Boring! But it does the trick. The image itself not only gives you an insight to the knowledge I gained going through this weeks course content but the colours, the size of fonts, and the trends in place tell you more. Without knowing it, viewers are analysing, evaluating, thinking and gaining an understanding of what is being shown, just by looking at an image. This can be a huge benefit in the classroom, especially with students who thrive through visual stimulation, those that are visual learners. I use images every day in my classroom. In power point presentations, posters, assessment booklets, textbooks and class handouts. I can further deepen the learning of my students by having them collaborate and brainstorm using mind mapping software as opposed to pen and paper. Students can communicate their ideas visually and collectively while demonstrating their creativity, ideas and concepts as a whole. When setting the next assessment piece, I will encourage my health and science students to create their very own mind maps to share with their peers, like the examples below. The idea of creating a Wiki through WikiSpaces as an online learning platform never occurred to me until now. I had put it in the too hard basket. However, after some research, I'm really warming to the idea. I'm finding the pros certainly outweigh the cons of using an online medium in the classroom. Do the advantages outweigh the disadvantages? Do the changes to the way I deliver the course improve the task at hand? 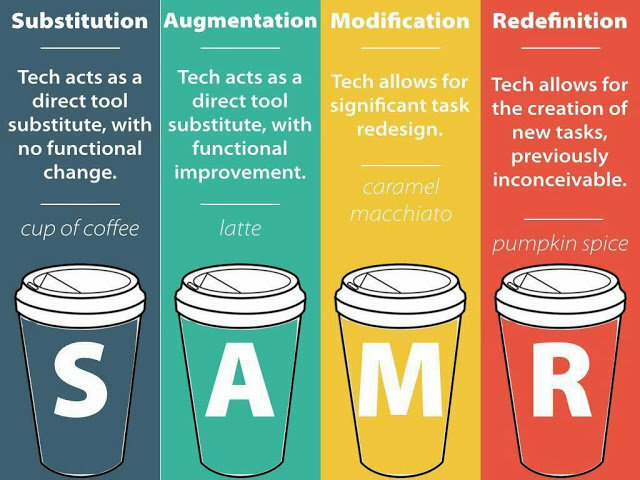 In accordance with the SAMR model, is the introduction of a Wikispace going to increase student learning and outcomes? Here is an example of how I would introduce a Wikispace into one of my teaching units, Health Education. Collins, R. (2014). Skills for the 21st Century: teaching higher-order thinking, Curriculum & Leadership Journal, 12(14), 1-2. I'd heard of the concept of blogging, I follow a few hilarious blogs on my personal Facebook page and more recently, have started following some fascinating medical blogs. I hadn't considered just how beneficial they can be, especially in a classroom environment. It might finally give students a legitimate reason to have their mobile phones out in class! As mentioned in earlier reflections, students are born into social media so creating an online space for their learning seems like natural progression. They comment a zillion times a day on Instagram, Facebook and share way too much on Snap Chat, so adding another online space for them to manage wouldn't feel like added pressure during their studies. The 24 hour access I believe is a huge benefit. Absenteeism is rife at times and teachers often struggle playing catch ups with students. An online blog would not only be a great way for students to stay involved despite being absent, and to catch up on class work in their own time, but would allow teacher/student communication to occur beyond the 55 minutes in the classroom. I'm not sure how many times I've heard "Sorry Miss, I didn't' check my email". Not once however have I heard "I wasn't online last night". Having notifications for new blog posts or updates could alleviate the excuses....."I didn't know the assessment was due, I wasn't here for that lesson". Winning! Having a degree in paramedicine, I'm often called upon by senior teachers to elaborate on topics relevant to my expertise. Despite studying in depth about the cardiac cycle, the subject still scares me and I don't feel I am the best person for the job at times. Using an online blog in the classroom would allow me as an educator, to recruit global experts through links to resources, clips, animations and information on areas of study that require more in depth knowledge. I would no longer be the sole source of learning for the students and they would benefit from the alternating perspective. I touched on it in earlier posts and am in full agreeance, creativity seems to be lacking in the classroom. Sir Ken Robinson in his presentation about how students are being educated out of their creativity seems all too familiar for me (not that I realised until I heard the words out loud). The student based learning that is associated with interactive classroom blogging many in fact bring some of that creativity back. The flexible online mediums available to students when they are initially creating their blog, allows for students to select and construct within their own academic capacity, and be graded accordingly. More detail about blogging can be used for teaching and learning can be found here, I will be further exploring the benefits of this ICT tool for my first assessment task. Now....if only I had the time to get creative! I can't wait to explore what is out there for my students studying senior biology and health education. 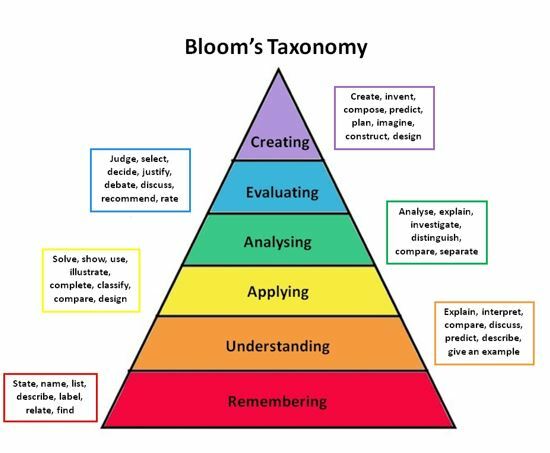 The SAMR model and Bloom's Taxonomy are directly related in that they both encourage high order thinking within the education system. Both models acknowledge the need for educators to create and/or modify tasks that place significance on high order cognitive skills. 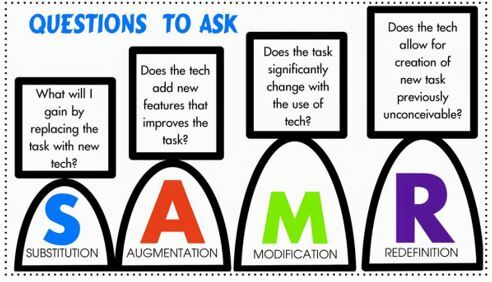 They aim to increase student engagement, performance and achievement by use of technology, and in turn transform teaching and learning experiences (Schrock, 2017). This figure by Digital Learning Environment depicts just how achievable the inconceivable task is (although in my case I'd hope the transformation was in reverse!). I have been able to demonstrate how high order thinking that is Bloom's Taxonomy and the SAMR model link together by use of a simulated health practical. 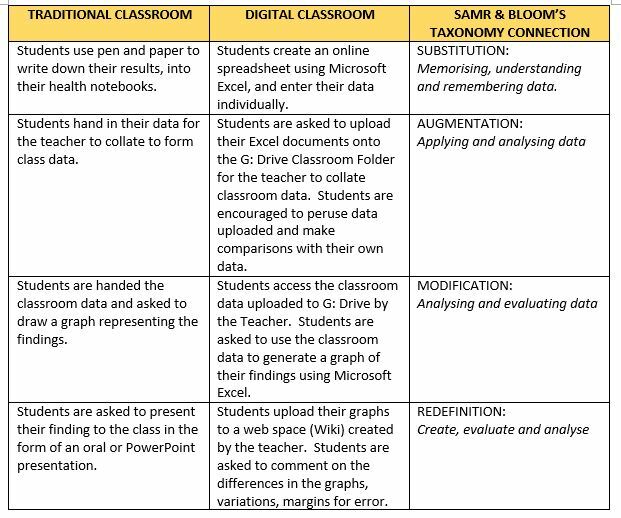 The table below compares tasks set out for students in a traditional classroom versus one utilising ICTs for learning. This image lists the high order thinking skills being applied during the practical. The students will monitor and document the changes in pulse rates during intense cardiac training in an attempt to gain an insight to the effects exercise has on the cardiovascular system. A pulse rate will be taken prior to the training commencing, at one minute intervals for five minutes of training, and every minute post training, during the cool-down phase of the training schedule. Students are to compile a spreadsheet and graph to document their findings. Students are to work in pairs. Paired data will be shared with the class for analysis and interpretation. Collins, R. (2014). Skills for the 21st Century: teaching higher-order thinking, Curriculum & Leadership Journal, 12(14), 1. Reflected on your experience of different pedagogical strategies. Where do your strengths lie? What opportunities exist for improvement to your practice? I found this task a little more difficult due to not having taught complete lessons in the classroom environment as yet. I have however delivered components of lessons in areas of my expertise under direction and supervision of the classroom teacher. I have based my responses outlined in the table below on the occasions I have provided support in the classroom and the experiences I have had sharing my knowledge with students during senior health and biology lessons. I hope I'm on the right track with my responses. Your feedback would be greatly appreciated. Write a reflection positioning yourself as a learner in this unit. What are your challenges? How are you planning to engage with them? Despite currently being a learner, I also work full time and am a sole parent to a nine year old boy and am renovating our first family home. With that, comes meetings, after school sports, appointments, sleepovers, unexpected illnesses, visits to see Nan at the nursing home and on the rare occasion, sleep and socialising. I need my learning to be fast, to the point and direct. I find it difficult to sit through lengthy presentations due to time constraints, however don't underestimate their importance. When studying my bachelors degree, I transferred my lecture presentations (up to nine hours per week of 'talking') onto disc or my iPod and listened as I continued my daily chores/routines. I would offer to take people to the airport, so on the 3 hour round trip, I could manage to listen to a lecture or two, completely uninterrupted. I do find myself going elsewhere to do my own research (online) if I can't connect with the content, or lecturer. Variety is the key for me and I am already enjoying how this subject (ICTs for Learning Design) is being presented. The combination of reading tasks, presentations, you tube clips and visual stimulation through photo slideshows and memes has been fantastic and engaging. I do not anticipate becoming disinterested or bogged down during this unit, due to how the course is presented. So, thank you. Identify your present values and beliefs about ICT in the classroom. Despite the anxiety oozing from my first reflection, I am feeling quite positive entering this course. The creation of this page near killed me but I'm not the IT retard I made myself out to be. I use (and depend on) ICT in my everyday life through work, personal use and study. It's been a natural progression for me, I've grown up with technology, advanced with it. The students I support in my role as Youth Support Coordinator however, were born into it. Social media, apps, online gaming, Google - they've grown up with it. It seems like natural progression to implement ICT in teaching. When used effectively, I have seen first hand the benefits such technologies have with students disengaged or at risk of disengaging from learning. Contemporary and interactive learning environments are a must in this day and age and I am in full support of ICTs being introduced and used in the classroom. Identify your approach to teaching and learning - are you committed to the delivery of information, with yourself in control of all learning? Are you willing to let go of some control over what your learners learn, and how they learn it? Are you willing to let go of some control over who your learners learn from? These questions are quite difficult to answer this early in the graduate diploma as I have not yet learnt how to, or what is involved in developing my own personal pedagogy. I do however hope that as a teacher I am creative, engaging and empowering. Sir Ken Robinson's speech, and the clip titled "Do you dare to dream?" in the course content from week one, resonated with me, greatly. My junior and senior education was spent being spoken to. Talked at. I remember my year ten science teacher speaking constantly during our theory lessons. Words, pages of notes to take down, chapters of textbooks to read and summarise, no student interaction except during 'question time' at the end of each lesson. 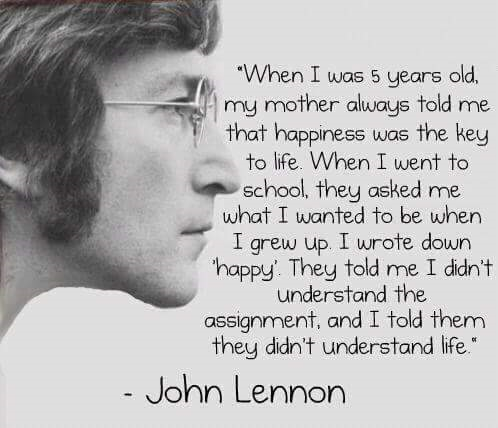 If you didn't learn like that, you were left behind. Put simply, I guess I'm trying to be less of what my teachers were back in the 80's and 90's and more in touch with today's generation and their individual needs, both academically and personally. Having not yet learnt about learning styles, approaches to educating students to meet their own individual needs and challenges, I am excited to explore all options, avenues and resources like ICT available to me. What experience do you have with ICT in the classroom? I have had experience with a variety of ICTs in the classroom but realise there are a mountain more I am unaware of. I am currently delivering Certificate III in Health Support Services and Community Services to our senior students. This course was developed by an external Registered Training Organisation (RTO) and is all completed online through a specifically designed program similar to Moodle. The students love it, it doesn't seem as mundane to them as it would if I was standing in front of the classroom, reading the power points or textbook chapters to them. Online quizzes, simulated medical scenarios, interactive whiteboards, learning apps and online educational apps (I forget what they're specifically called) are some of the ICTs I have worked with in the past. I look forward to exploring what else is out there, to benefit my teaching methods and therefore student learning outcomes. On a scale of one to ten, with ten being totally prepared and ready to teach using information and communication technology (ICT) in the classroom, I self-rank myself a solid seven. I pride myself on my information technology (IT) abilities and seem to be the go to girl when a colleague or student needs prompting, troubleshooting or are experiencing an “it won’t work!” moment. On a personal level, I feel as if I have kept up with IT trends of late, I’ve kind of had to, my pride won’t let my nine year old son know more than me. Whilst completing my university degree via distance education, I was exposed to and confident when using a wide range of e-learning tools including digital simulation and scenario based programs and applications. This exposure and experience with ICT rates me at a seven on the preparedness scale. Then, I was asked to create a Weebly blog. My rank has plummeted dramatically and after that experience, I’m sitting around a five, at best. I’m not sure why I found it so frustrating creating and designing my page, nothing seemed to work smoothly for me. The ‘buttons’ and ‘links’ just wouldn’t cooperate and I found myself getting more and more discouraged as time went on. I must admit, I’m not a ‘read the instructions’ kind of girl, usually I can play around and things seem to come together for me. But in this instance and to save my laptop from being smashed into oblivion, google became a god sent. My blog is finally up and running, though not as aesthetically pleasing as my obsessive compulsive disorder demands, but we got there in the end. Creating this blog got me thinking, how can I possibly teach using ICTs when I myself struggle using such programs. Looking at the upcoming course content, I’m quickly realising ICTs go beyond the use of YouTube and subject specific apps like Anatomy Learning – 3D Atlas. Will I cope? Exploring the ICT Capability and the National Professional Standard for Teachers (see Resources tab), confirms for me that standards regarding ICT are in fact more in-depth than I could ever imagine. It never occurred to me that there are moral and ethical components to consider with regards to ICTs in the classroom. It never occurred to me the ICTs I chose to use, need to be adapted to support the participation and learning of students with disabilities. Nor did it occur to me that the ICTs I select, the strategies I implement, must cater for students who identify as Aboriginal and Torres Strait Islander. I guess I just figured if the resource was available, and made the class more interesting for the students, why wouldn’t the teacher use it? I now realise it’s not a simple as that. Despite my new found apprehension around technology, I am looking forward to this course. I am ready to step out of my comfort zone, as I encourage most of my students to do at times, set aside my frustrations and begin exploring my capabilities. I hope to come out the other end armed and ready to select, implement and manage ICTs in a bid to engage my students and enhance their learning and learning experiences in my classroom.